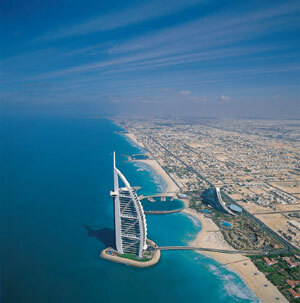 Property price rise in Dubai will continue to be much higher than rest of the world in 2014 though it will slow down compared to 2013, according to a new report. Knight Frank’s Prime Global Forecast report reveals that Dubai will top of the list for global cities that will witness double digit price growth in 2014. Liam Bailey, Global Head of Residential Research, states in the report that Dubai will see prices jump by 10 to 15 per cent in 2014 driven mostly by Expo 2020 development, buyer incentives and a relaxation of cooling measures. But in the last quarter of 2013, Dubai doubled the property registration fee to 4 per cent, the UAE Central Bank announced mortgage caps for both expatriates and nationals and Emaar, Dubai’s largest developer, banned real estate agents from selling on off-plan property before completion to cool down the market. “All of this has come into play in order to ease residential price growth in the emirate, which so far this year has been running at a rate of 18-22 per cent year-on-year,” Bailey said. Earlier this year, global banking giants have confirmed that Dubai is not experiencing a property bubble and the market has been driven by growing sound economic growth and rising expatriate population, which will rise as employment opportunities soar in the run up to Expo 2020. Goldman Sachs Group has stated that fears of Dubai’s real estate market experiencing a bubble are “exaggerated", stating property prices were still 36 per cent below their 2008 peak even after rising by about a-third from a low in the second quarter of 2011. Bailey, however, said home buyers have been showing signs of taking a “wait-and-see” approach – not surprising in view of the new cooling measures and the fact that prices are quickly approaching previous highs. Following Dubai is Beijing, Shanghai, Sydney and Paris – markets that will show a price rise in the range of 5 to 10 per cent. London will see only a price rise of less than five per cent, while New York will remain stable. Singapore and Geneva will see prices fall by less than five per cent, while Hong Kong will be prices the maximum price decline of 5 to 10 per cent. Bailey asserted that the Eurozone debt crisis is not the overriding concern that it was a year ago instead rising interest rates and government intervention in the form of buyer restrictions now pose the greatest threat to luxury residential markets worldwide. “Opportunities in 2014 are focused more on a local rather than a macro level. An improving local economies as well as the search for regional safe havens are considered the best means of boosting investment and driving inward capital flows,” she added.